Imagine Living in this gorgeous Corner Lot house with 4 Bdrms, Game room, Study room-2& 1/2 Baths/Brick on 4 Sides , 3 car garage in Gorgeous Hidden Lakes subdivision. Open concept formal dinning and living upon entry. Gorgeous kitchen with custom stain less steel appliances, beautiful granite counter tops & backsplash. Huge family room with gorgeous fireplace attached to a cozy study room which also has a fireplace inside. 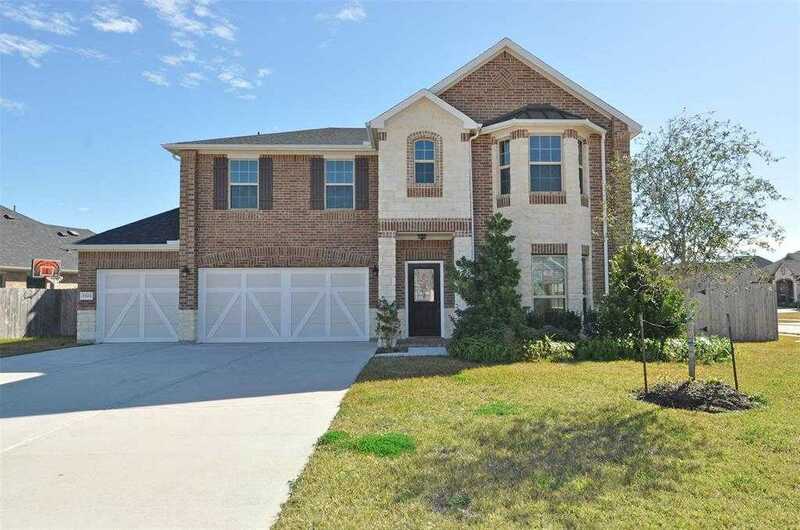 Brand new beautiful hard wood flooring & gorgeous tile throughout the first floor. Brand new wooden stairs with iron wrought staircase. Huge game room upstairs with plenty of room . Gorgeous, Spacious master bedroom and a gorgeous master bath with separate tub, shower & dual vanity. Granite countertops & backsplash, beautiful standing shower room with gorgeous tiled surrounding walls. 3 additional secondary bedrooms with an additional full bath. Covered patio & huge backyard with sprinkle system. Huge corner lot , Come & see today !